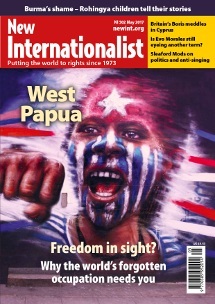 West Papua stands on a knife-edge between freedom and disaster. In this issue, we hear the voices of people living under Indonesian occupation and fighting to be free. We learn about the unifying power of Melanesian music, expose the extractive companies that are profiting from Papuan repression, and hear Indigenous leaders lay out their visions of the new country they want to build.